If you’re a student or recent high school graduate, we can help you earn money this summer with part-time or full-time summer work that can put money in your pocket while you get ready for the next school year or plan for what’s next in your life. Are you older and currently between jobs? As a family-owned and operated business with deep ties to the local and regional community, we have the contacts and connections to help individuals of all ages and experience find the work they’re looking for. 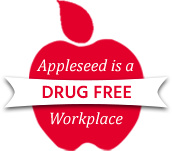 Many local and regional businesses turn to Appleseed Personnel to help them with their staffing needs and to help them fill positions of all kinds – from manufacturing and warehouse work, to service industry and administrative office employment. In fact, we’ve been helping our applicants secure clerical, light industrial, customer service, and general labor work throughout central Massachusetts for over 30 years! What are you waiting for? There are employment opportunities to explore! Stop by today or give us a call at 978-534-6629 so we can get started on finding you the right job, right now.